Extra Thick Free Standing Angels Free standing decorative angels in a thicker form for more stability. 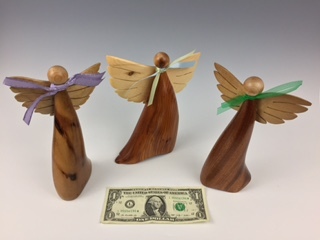 Extra Wide angels available in assorted unique hardwoods and body shapes. Approximately 8" x2"x 5". Call for a photo of current availability or let us pick for you.